Earn $7.43 in VIP credit (743 points)What's This? The Challenge Dune Pro Tire is made cross races on sandy soils, featuring a lightweight, grippy design. The tire offers a smooth rolling characteristics and can also be used as an everyday tire for streets or gravel roads. 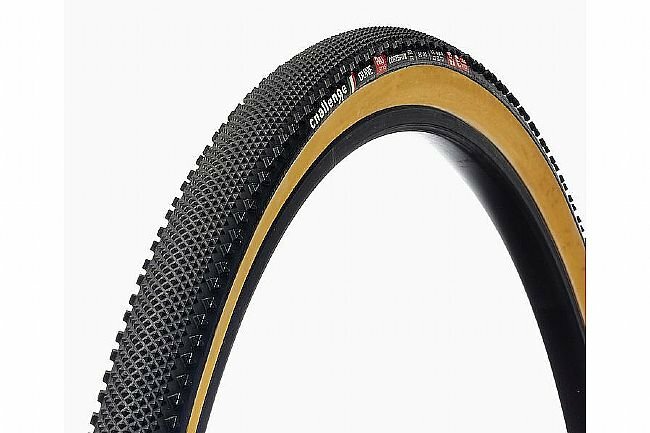 With Challenge's Puncture Protection Strip, the Dune uses an extra layer of uniquely-crafted fabric with highly resistant properties sits between the casing and the tire to reduce the risk of punctures.